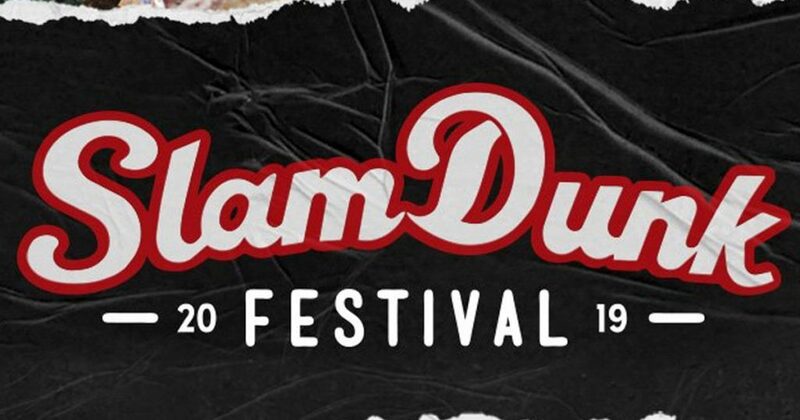 Showing no signs of slowing down, Slam Dunk Festival has revealed stage times for this year’s ultimate alternative extravaganza and added three incredible new acts, Hot Milk, TiLLie and Trophy Eyes’ John Floreani. 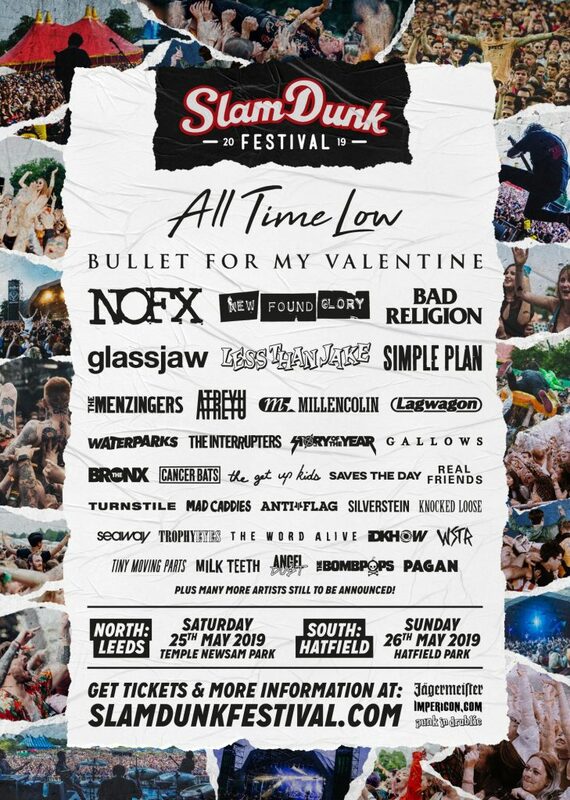 Ensuring no clashes between the Jagermeister Stage and Impericon Stage and also alternating the Dickies Stage and Marshall Stage, Slam Dunk have released this year’s festival so that eager festival goers can begin planning their day ahead of the upcoming May Bank Holiday weekender. Mancunion newcomers Hot Milk are one of the UK’s freshest pop-punk acts. Following the release of their debut single ‘Awful Ever After’, the fiery four-piece have won over audiences across the UK and Europe with blistering live performances while supporting notable British rock acts You Me At Six and Deaf Havana. Hot Milk will appear on Slam Dunk’s Key Club Stage for an unforgettable festival first. Self-proclaimed anti-pop star TiLLie is sure to reign supreme at Slam Dunk Festival this summer. Armed with ear-worming melodies and a confident grrrl power attitude, the fast-rising multi-instrumentalist and singer-songwriter will perform a highly-anticipated show on the Acoustic Stage, packed full of stand-out tracks from her debut EP, ‘Loud Mouth’. Opening Slam Dunk’s Acoustic Stage will be John Floreani. Dialling down the pop-punk energy, the Trophy Eyes’ frontman will appear at Slam Dunk, delivering an heartfelt set of emotive tracks from his hotly-tipped upcoming solo EP, ‘Sins’. In addition to the infamous Slam Dunk Festival after parties, the UK’s favourite independent alternative weekender has added even more chances to get warmed up for the festivities ahead. The North pre-party will take place in Leeds at the Leeds Beckett Student Union and the South pre-party as hosted by Shove It will take place in London at Bloomsbury Bowling Lanes. Tickets are on sale now. A Loss For Words, All Time Low, As It Is, Angel Du$t, Anti-Flag, Atreyu, Bad Religion, Between Me & You, Boston Manor, Bullet For My Valentine, Cancer Bats, Chas Palmer-Williams, Cruel Hand, Employed To Serve, Gallows, Glassjaw, Grandson, Hellogoodbye, Hot Milk, I Don’t Know How But They Found Me, John Floreani, Justin Pierre, Knocked Loose, Kublai Khan, Lagwagon, Less Than Jake, Liam Cromby, Lights, Lizzy Farrall, Mad Caddies, Microwave, Millencolin, Milk Teeth, Neck Deep, New Found Glory, NOFX, Our Hollow Our Home, Pagan, Plain White T’s, Press To Meco, Real Friends, Rob Lynch, Saves The Day, Seaway, SHVPES, Silverstein, Simple Plan, Story Of The Year, Story Untold, The Bombpops, The Bronx, The Get Up Kids, The Interrupters, The Menzingers, The Plot In You, The Word Alive, Tigers Jaw, TiLLie, Tiny Moving Parts, Touche Amore, Trophy Eyes, Turnstile, Wage War, Wallflower, Waterparks, WSTR. Ticket Price £59. Afterparty tickets sold separately. All subject to booking fees. Afterparty tickets are on sale separately from the main festival tickets. Slam Dunk Festival North afterparty is at Leeds University Union. At Slam Dunk South, there are 2 after parties, one at The Forum (former festival site) and one in Central London at O2 Islington Academy. Pre-party tickets are on sale separately at the links below. Festival gates and wristband exchanges will be open from 9am. Main Arena open from 11am, with first acts on from 11.45am. All acts will be finished by 10pm, with a 11pm festival curfew.